Trying to find the right job is a challenge for any young person embarking on a career. Tia Dickens, 19, has a clear goal: to become a Human Resources (HR) manager and to support others to find their perfect job. Tia, who arrived at SOS Children’s Village Barrett Town when she was two years old, is forging her own career path by building her experience and skills. While still considering what to do, she obtained an associate degree in Business Studies, with the mind-set that a business background is useful for any career. 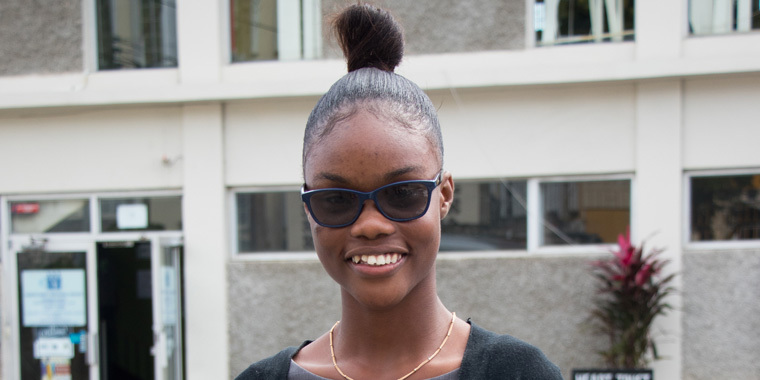 She chose to do a few days’ work experience at the SOS Children’s Villages Jamaica HR department and realized instantly that this was something she wanted to do. “One of the main challenges for a young graduate in Jamaica is trying to find gainful work once they have completed their studies. Therefore, you find that they are often stressed. Those who are very qualified either migrate or they start businesses for themselves. 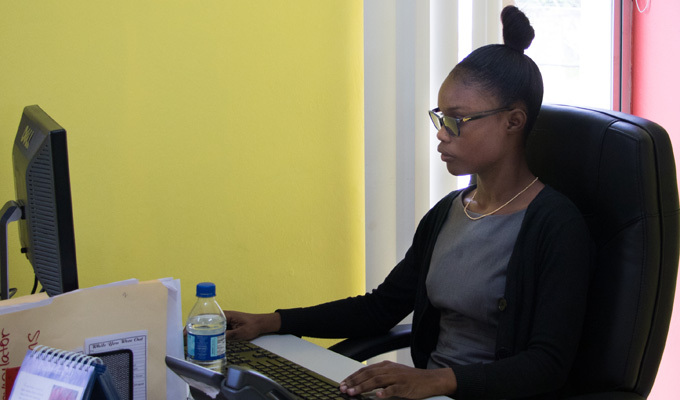 Then those who are not as qualified, end up being frustrated and are often not employed,” says Nadine Williams, National Director at SOS Children’s Villages Jamaica. In 2017, Tia started an internship at a governmental institution in Montego Bay. After three months, her boss recognized her enthusiasm and strong work ethic and decided to offer her a one-year contract as a clerical assistant. Tia Dickens is currently an intern at a government institution. Photo: Alejandra Kaiser. Always professional, she seized the opportunity to gain experience in all areas of the institution. However, what she enjoys most is working in the job placement department, as she likes to help people find a suitable job for their particular profiles. When this option was first offered to her, Tia was hesitant, but in the end – after consulting with advisors from SOS Children’s Villages – she understood this was a good strategy to develop her career. “Working here opened my heart. I’m more sociable, I have a good work ethic and good interpersonal skills. Just the experience with different people from different backgrounds developed my professional skills,” says Tia. Tia is now taking action to achieve her dream of becoming an HR manager. She is currently working towards a degree in HR, and afterwards she plans to pursue a Master’s degree in Psychology. I would like to continue receiving emails from SOS Children’s Villages USA.